Despite content marketing‘s meteoric rise over the past couple of years — in terms of awareness, as well as adoption by brands and marketers — many misunderstandings still surround the discipline and practice. While content marketing is hardly new (it’s been around pretty much as long as there’s been media), many a misstep and misconception exist around content in digital channels. As someone who helps dozens of brands get a handle on content marketing and how it relates to other marketing disciplines, I see the same mistakes around content committed over and over. So herewith, I give you a list of the five top content marketing missteps I see organizations commit. Let’s please all resolve to eradicate them in the New Year, shall we? This occupies the first place on the list of content marketing don’ts for a reason. Incredibly, according to my own survey data and that of other researchers and analysts, a full 70 percent of organizations undertaking content marketing are still doing so without a documented strategy. That means they’re investing time, money, resources and staff in a tactic that doesn’t have measurable goals attached. It also means a lack of governance; they haven’t reviewed what tools, people and processes need to be attached to content initiatives to make them effective and achievable. They lack KPIs, so they don’t know if they’re getting to where they want to be. It’s high time brands stopped doing content for content’s sake. Planning, benchmarking and attaching content initiatives to a strategy are necessary steps to take for content marketing to work effectively and efficiently. In fact, the following four don’ts are really just subsets of this overarching need for strategy. Content marketing is much bigger than just content marketing. Or social media. Or PR/communications. Or advertising, search or email. Content is bigger than marketing, even. In order to create effective content, input and output are required from across the organization, particularly from the public-facing divisions such as sales, customer service, recruiting and human resources, as well as research, product and, of course, senior management. The organizations that really succeed in content create cultures of content, in which content functions as a well-oiled, enterprise-wide machine. Don’t fence content in; let it grow and expand. Content works best when it’s informed by as many sources as possible. There’s likely a great big gap between what you think you need to get content done and what you really need to invest in terms of content marketing tools and technology. When I surveyed the market, the vast majority of marketers last year said their planned content marketing software investment would be in tools to help them create more content. But when asked what they need (as opposed to what they want), they have a ready response: measurement tools and audience targeting tools top their list. This disconnect between wants and needs is directly attributable to a lack of content strategy (see #1). Assess your needs before investing in tools and software. Investments shouldn’t be a stab in the dark. Even organizations that are willing to take the time and effort to develop and document a content strategy must resist the temptation to shortcut this very essential step. It’s easy to understand why. Content audits, the process of carefully evaluating all digital and offline content across a multi-point scorecard (mine has more than 50 criteria) is a long and tedious process. But you can’t know where you’re going if you don’t know where you’ve been. Audits uncover needs, gaps, weaknesses and inconsistencies you’d otherwise never find. They reveal much-needed gaps in process, style, maintenance and other aspects of content governance and process. Moreover, stopping at that one baseline audit isn’t an option. It’s the benchmark from which future audits will be conducted. Please, don’t skimp. Audit, at the very least, twice per year. Measurement is so powerful. Why stop at only sales? Yet sales are the only thing the majority of content marketers measure. That, or volume metrics such as likes and shares, which are interesting (and ego boosting) but don’t impart much business value. In 2016, don’t neglect to blow out your content metrics with dollars-and-cents, ROI measurements you can take straight to the bank (or to the CFO). Create the right strategy and content, and implement the right tools and measurement, and you can demonstrate results in areas such as product development, retention and recruiting, customer service and workplace efficiencies — all via content. 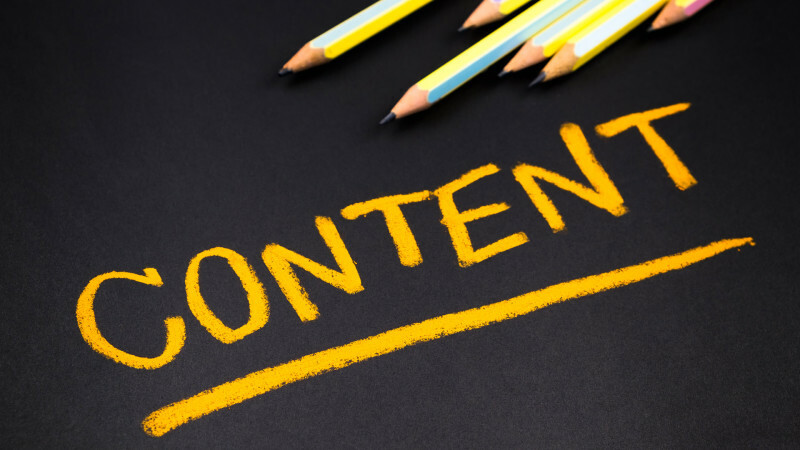 Don’t think narrowly about the power and efficacy of content marketing!